Thousands of motorcyclists could be stopped by police for not wearing high-visibility clothing as more forces adopt the policy. Riders will be stopped and given lectures on “being seen” as well reflective vests to put on over their jackets or leathers. Lincolnshire and Nottinghamshire are the latest areas to join Sussex in issuing the kit. Nottinghamshire Police plans to hand out 3000 packs containing hi-vis vests. Riders are invited to collect them from police stations but will also be stopped and given them at the roadside. 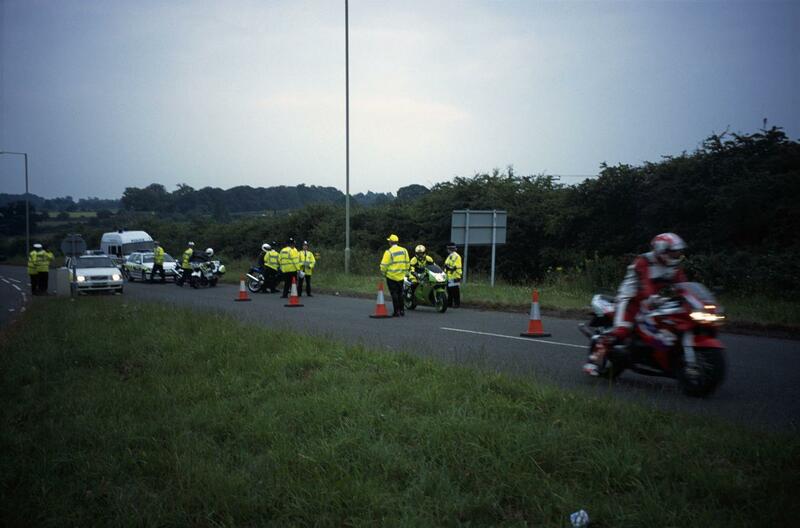 In Lincolnshire, motorcyclists can collect the kit but are not being stopped at the roadside, according to the force. The Motorcycle Action Group says the tactics are a step towards compulsory hi-vis clothing or reduced insurance pay-outs for riders in dark kit. A spokesman for the group said: “We’re advising all riders stopped without obvious cause in order to deliver these lectures to make a stand by lodging formal complaints. How would you feel about being stopped? Tell us by adding your comments below.